Malcolm Kantzler for Congress for Ohio, for American Democracy. A New Connection for the Will of the People. 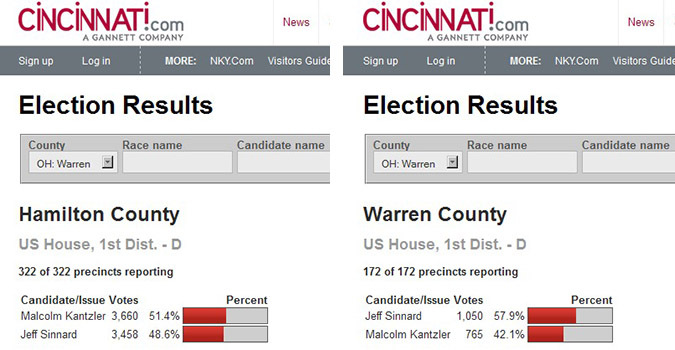 Warren County, Sinnard 1,063; Kantzler 775; Total, Sinnard 4,561; Kantzler 4,505. I have now, officially lost my first run for public office to Jeff Sinnard, a razor-thin, Super-Tuesday, Ohio election race, the most competitive of them all, with the lead swapping five times during the election-night, precinct-count reports, uncertain to the last hour, until the last count. It’s a real disappointment to lose, to be sure, especially by so close a margin, because our democracy is in real trouble, and I know what must be done to begin to restore it, and I would have worked hard to win and bring about the needed, fundamental changes, while Jeff has said that there are so many fires that he would go after the ones burning the hottest. Sadly, the fundamental problems sprout fires all the time that divert from the core problems, leaving them untouched. But since that election night, a proper perspective on loss demands recognition that there has been much more significant loss, suffered by many people, families losing loved ones and homes to the ravages of storms; children losing classmates to accidents and violence, and losing teachers and school programs to budgets, slashed as a result of irresponsible planning and economic abuses; a soldier with district roots, tied to a far-away, bewildering loss of 17 innocent lives; and most recent, in the first months of the new legislative year, in Ohio, further cuts to middle-class education through Gov. John Kasich’s new taxing proposals, which mask true intent with complexity. The struggle to mend and recover is more important than the long-term consequences of an election, and the response of our people in providing help and assistance to neighbors fortunately far outshines the way the Republican party treats its neighbors when it comes to taking political advantage on issues of voting and districting, and far better than the response to participate in, and thereby preserve the democratic process by voting which, in this election, accounted for less than four percent of registered voters—apathy and ignorance always will present democracy with its greatest dangers. And democracy remains under attack by Republicans in 2013, with the Republican Party’s national committee joining in a Supreme Court case (McCutcheon v. Federal Election Commission) which would remove or extend individual campaign-contribution limits, which benefits the wealthy who can contribute the most, adding to the power of their political voice at the expense of every average citizen, combining with the devastating effects of the “Citizens United” decision to destroy political equality, which along with “political liberty” and “popular sovereignty,” is one of the three pillars of democracy! In elections with low turn-out every vote counts, and the margin of our Ohio’s 1st District, final, official, precinct-count difference was only 56 votes, 0.62 percent of the total 9,066 votes cast, which is well above the 0.5 percent trigger for an automatic recount. Jeff’s official, 4,561 margin over my 4,505 was a slender 0.98 percent, and more significant, on most issues, we’re just as close, because although we don’t share an alignment on all priorities or social issues, we do share a strong commitment to strengthen and broaden the ties of government representation, increasing representative and government responsiveness and accountability; so, I endorse Jeff’s candidacy without reservation, and I congratulate him on his victory and on giving me quite an exciting ride on the reporting night of my first campaign race. I sincerely thank all of those who supported me and trusted me with their votes. It has been a distinctive privilege and honor to meet you all on the basis of forming a public trust, and also to meet Jeff Sinnard, and the dedicated party officials and elected public servants of the Hamilton and Warren County Democratic Party, and the Ohio Democratic Party. You may copy any of these tweets to re-tweet on your Twitter account or publish anywhere. “A politician, one that [sic] would circumvent God.” — Hamlet [1600-1601], Act V, Scene i, Line 84. 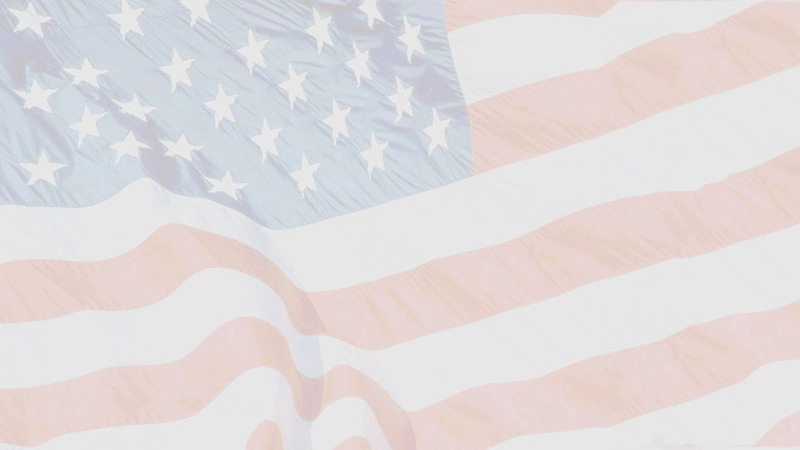 I wish not to be a politician, but rather a true public servant and defender of the Constitution. 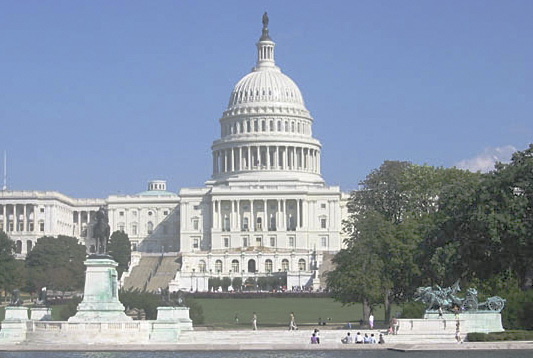 Join Congress Ohio Yahoo Groups to comment, pose questions, discuss issues. Please e-mail congressohio@yahoo.com to arrange appearances/meetings. ©2012 — Paid for by Kantzler for Ohio.